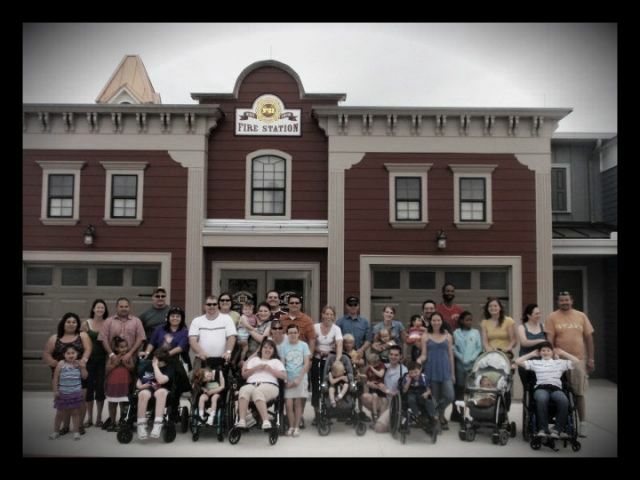 The Angel Ka rly Foundation was founded in San Antonio, Texas in 2009 by Araceli and Rolando Ruiz. Due to the lack of resources in South Texas, their goal was to bring awareness and understanding of what Angelman Syndrome is to the different communities in South Texas. The inspiration came when their now 4 year old daughter was diagnosed with Angelman Syndrome at the age of 15 months. Karolina, or Karly, as everyone calls her, lights up a room with her smile and kind spirit. The foundation has created and maintained a network of Angelman families as a resource and support group. This network has allowed the foundation to provide and share therapeutic equipment amongst the angels in the area; it has allowed the foundation to educate educators on the unique differences of Angels from other special needs children to create a better educational environment for them; and the ultimate goal is to one day establish a center where adult Angels can continue to have a safe, nurturing and enriching environment once they have aged out of public education. Through the foundation, a network of 13 families in the area has been established. Before the foundation, some angel families had never had the privilege of meeting another angel. AKF has established a very close knit community that gets together for social events, Angel mom luncheons, and fundraising events. For the past two years, parents and relatives of angels in the area have participated in “Team Miles for Smiles” at the San Antonio Rock ‘n’ Roll Marathon, which has turned out to be the foundation’s biggest yearly fundraiser. The fundraising has allowed the foundation to send a family to the ASF conference and sponsor all their social events for the angel families. The foundation has big plans and with the support of a very loving and giving community, they will happen. For Karly’s parents, having full time jobs and running a foundation can get a little busy, but to them, it’s well worth it. They feel they were blessed with Karly for a reason, as she has taught them the true meaning of happiness, love, and great strength.